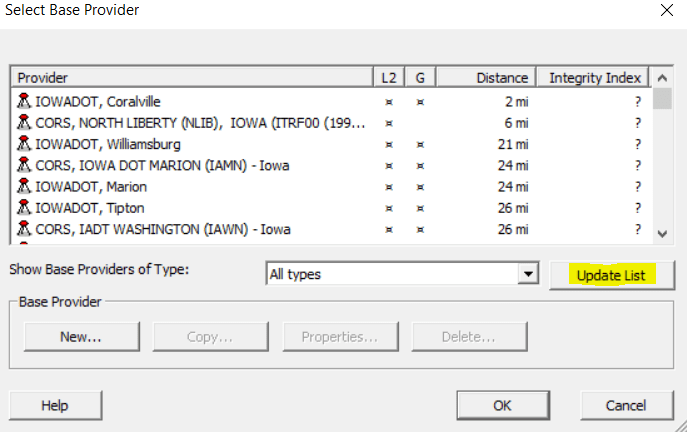 The Iowa DOT Base Stations went through an update this winter 2018/2019. They are now working again via the Trimble Base Station List for Differential Correction/Post Processing. 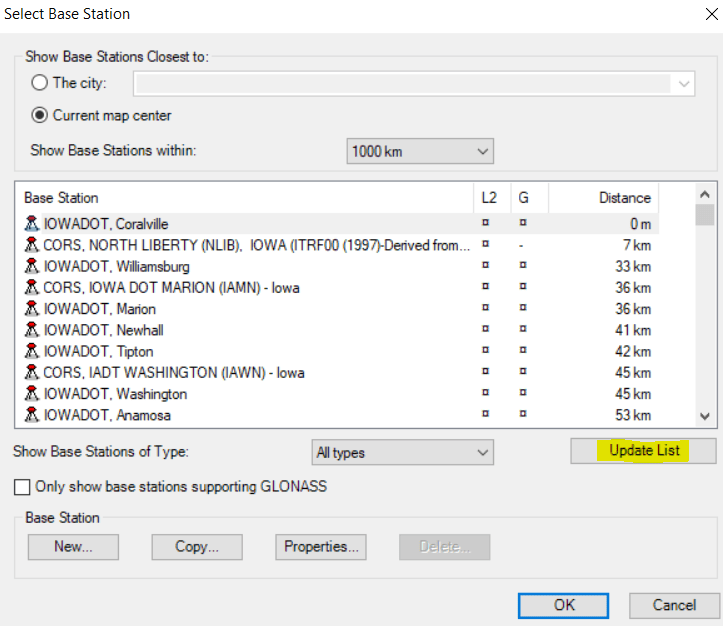 After you Update the Base List, the connections to Iowa DOT Base Station Server will be re-established.